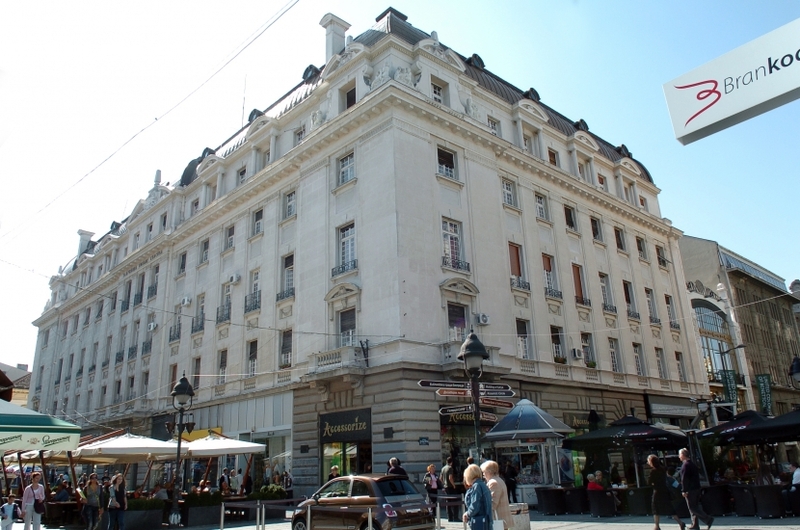 The endowment of Nikola Spasic in Knez Mihailova St. No. 47 was built in 1930 as a commercial and residential four-story building, designed by architect Joseph Nyman, in the academic style. The facade of the building is decorated with sculptures symbolizing industry and commerce. The sculptures are placed in the tympanum over the central part of the facade, and they are the work of sculptor Dragomir Arambasic. In addition, there are four group and two individual children figures placed alternately over the central and side walls, the work of sculptor Zivojin Lukic.